The French-U.S. Calipso satellite completed its 1st year in orbit on 28 April. 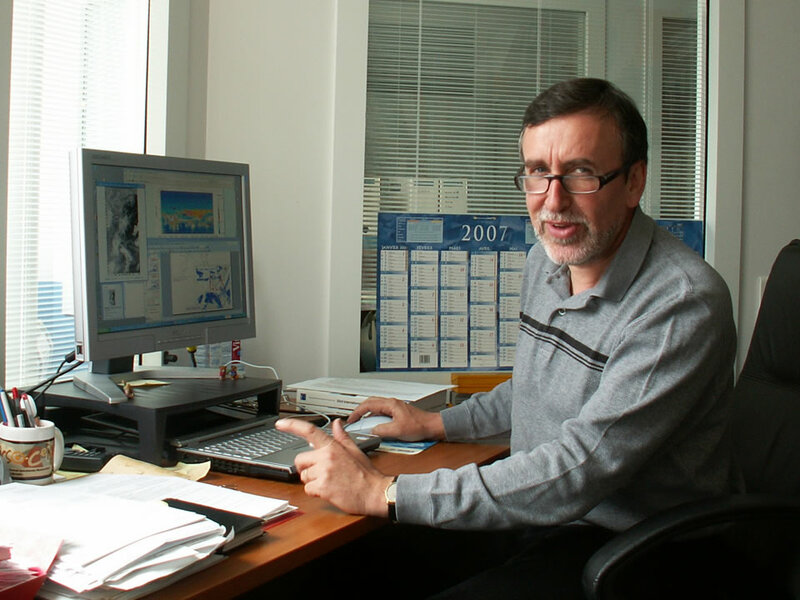 To mark the occasion, Jacques Pelon, the Principal Investigator on the French side, has been awarded NASA’s Distinguished Public Service Medal in recognition of the contribution from CNES and the French scientific research centre CNRS to this key mission. “In a way, the award is a crowning achievement for all our efforts,” humbly admits Jacques Pelon*, the Principal Investigator on the French side of the Calipso mission, when asked about the Distinguished Public Service Medal recently awarded to him by NASA. How right he is. Calipso was launched 28 April 2006 in tandem with the U.S. CloudSat satellite. Together, the pair joined the A-Train constellation alongside their 3 other French and U.S. companion satellites: Aqua, Aura (NASA) and Parasol (CNES). NASA’s OCO satellite is set to complete this constellation next year. The main innovation on Calipso is its highly sophisticated CALIOP lidar capable of recording precise vertical profiles of the atmosphere. Polar stratospheric clouds over Antarctica. CNES led development of the satellite and is responsible for satellite control. It also supplied the Imaging Infrared Radiometer (IIR) which, operating in combination with the lidar, is able to measure microphysical properties of ice clouds and desert aerosols in the atmosphere. 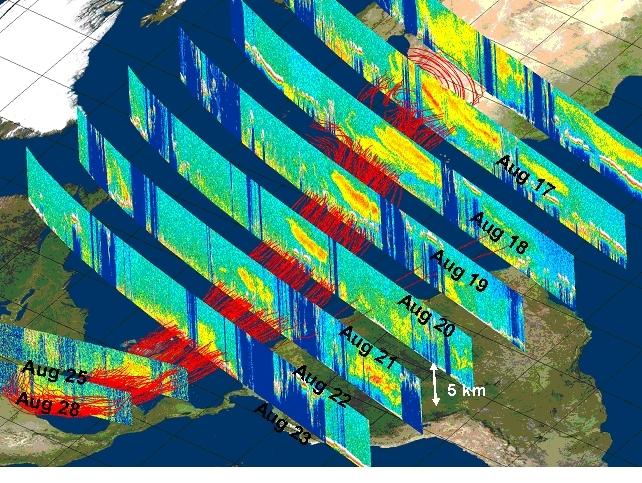 Calipso data correlated with those obtained from the other A-Train satellites will be compared with numerical simulations of observed atmospheric phenomena. For example, on 24 July 2006, after only a few weeks in orbit, Calipso gave scientists striking images of polar stratospheric clouds over Antarctica. These clouds play a key role in the formation and evolution of the “ozone hole”. Grains of dust as they drifted from Sahara to America, April 2006. Crédits : Chip Trepte , NASA. But that’s not all. Calipso is also able to identify cloud and aerosol features, precisely determine their altitude and distinguish different types of particles. In August 2006, scientists were thus able to track tiny grains of dust as they drifted from Africa to America. “Calipso is the 1st truly joint mission by France and the U.S. to observe Earth’s atmosphere,” says Jacques Pelon. “We were closely involved from the early stages of development.” The satellites in the A-Train are both independent and complementary. The combined perspective provided by their 15 instruments will tell scientists more about changing weather conditions, pollution and climate in general. As the constellation’s mission is not expected to exceed 5 years, scientists have no time to lose and the French science team has a lot of work on its plate. Jacques Pelon will nevertheless be taking a few days out from his work schedule to receive his award at NASA’s Langley Research Center on 13 July.